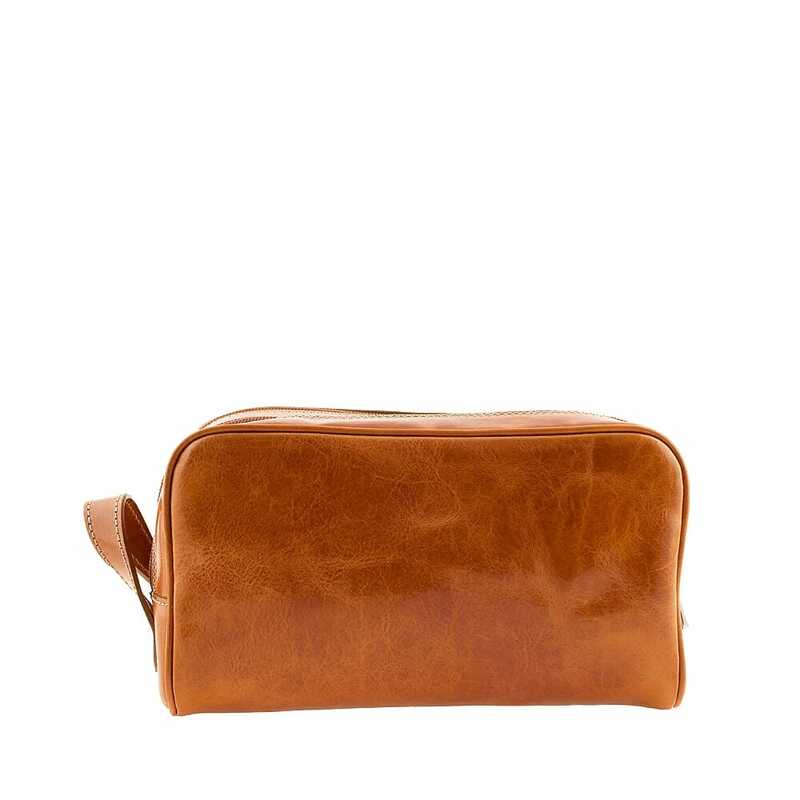 David, a full grain honey color leather travel nécessaire, tailored following the traditional leather processing system of the Leather District in Tuscany, evokes the homonymous Michelangelo's statue, a treasure chest which is a small work of art itself. 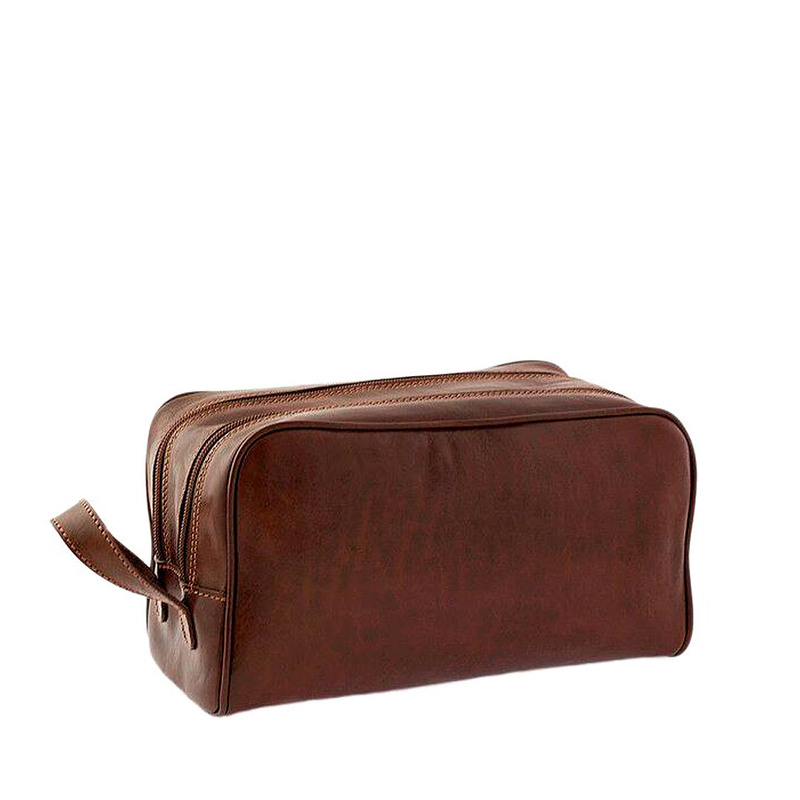 Its rounded lines enclose two wrinkly sand color fabric lined compartments with a lateral pocket, to place your face creams, shaving cream, perfumes, hydrating creams and whatever else is needed for the perfect vacation. David will cross land and seas and take care of your looks.